new belts added as new ones are crafted! Sizing: Tassel belts have more lee way is sizing than some other garments- The tassel topped front ties can be tied to take up a lot of space or a little! and you can always add a textile piece, jewelry or coin belts to the front to add interest! 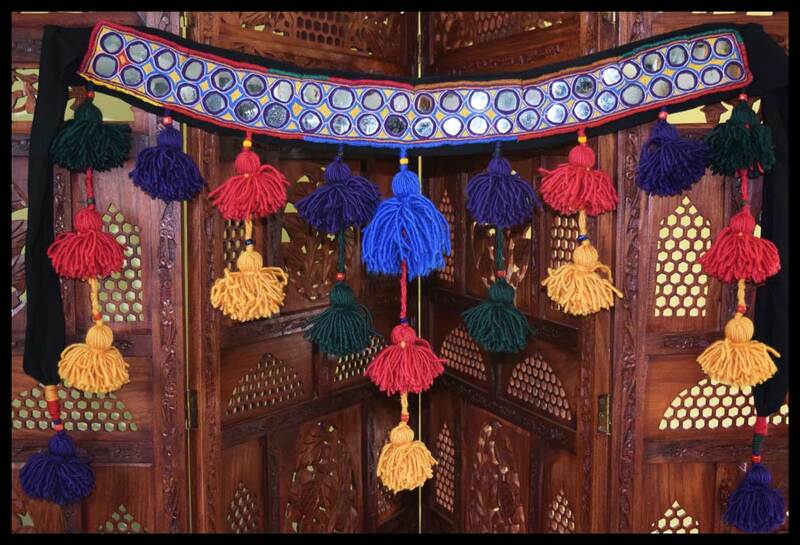 Since Rajasthani mirror pieces all measre 36" or less thats the way to goddess size your tassel belt! Most dancers wear the belt at the hip bone or a bit above- so start with that measurement- Its usually 3-4 inches less than your hip measurement. 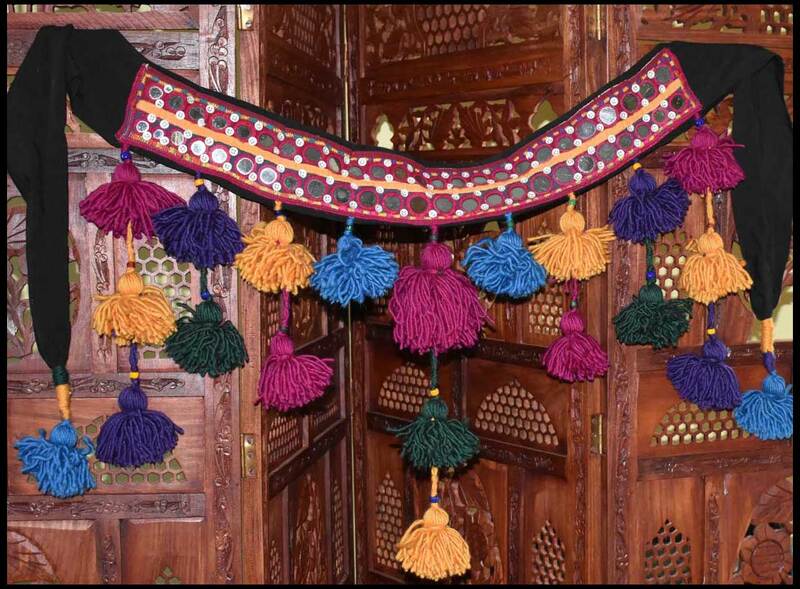 The space between the decorated (tasseled) part of the belt in front can be 4"- 10" or even more - as long as the mirrored piece reaches the hip bone you get the right effect, and front coin drapes like the Mirror and Metal Belt are a great extender!